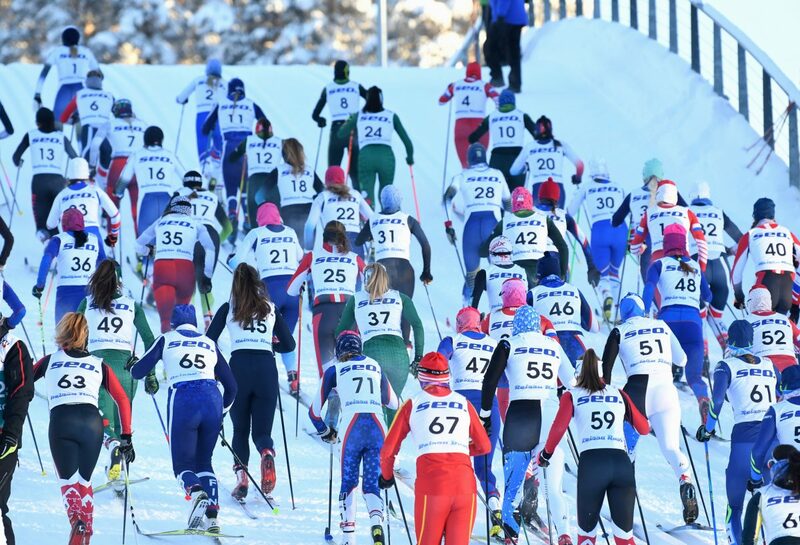 The mass start classic races for the U20 athletes at the 2019 World Junior World Ski Championships dawned on another crisp, bordering on a frigid day in Lahti, Finland. 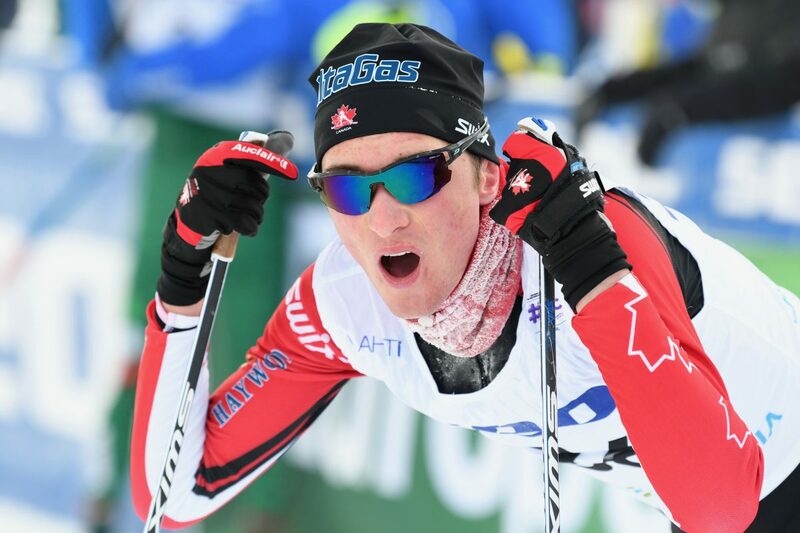 A scroll through the results makes clear the day was strong for North Americans as the U20 men raced a 30-kilometer classic mass start, the women a 15 k classic mass start. 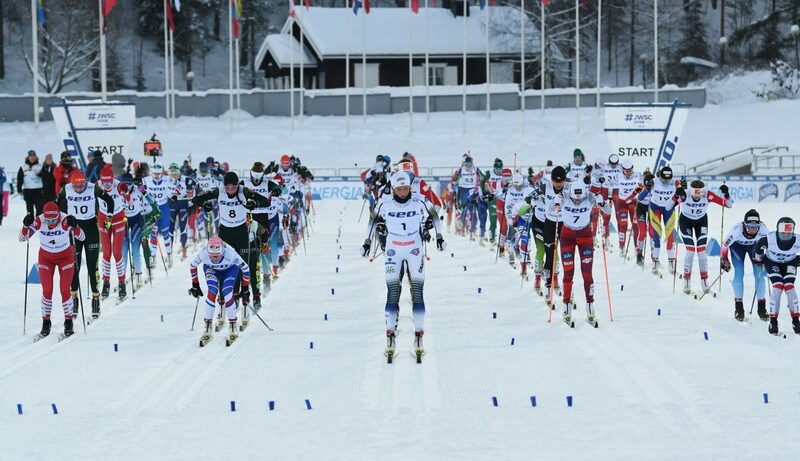 In the men’s race, the six laps around the 5 k course which climbed a total of 193 meters each circuit, the top-15 skiers were separated by 17 seconds at the finish. 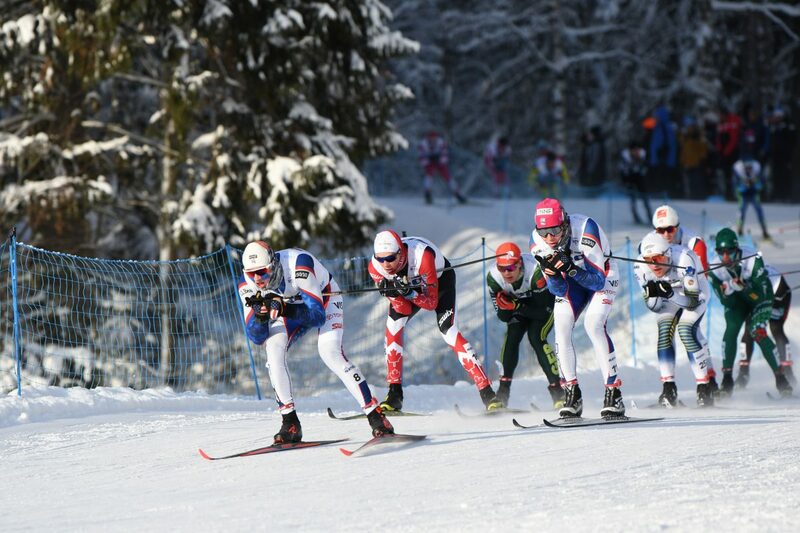 The tight front-pack racing meant there were moments when the U.S. sported four skiers pacing the sharp end of the race. Gus Schumacher skiing for the U.S. placed fourth in a four-skier sprint at the line to finish 0.7 seconds behind the winner Luca Del Fabbro of Italy. Del Fabbro won in a time of 1:15:16.7 hours. Norway’s Haavard Moseby placed second (+0.4), and Switzerland’s Cyril Faehndrich third (+0.5). Canada’s Remi Drolet skied to seventh overall 6.4 seconds back. Actualizing the strategy in terms of mishaps was another story on Drolet’s journey to seventh place. “Overall, I am very happy with how I skied today,” Drolet continued. “I executed my plan quite well and was able to stay calm and ski well even when I was involved in a collision and lost both of my skis. I had a lot of fun out there, and it was incredible to race against the best juniors in the world in some of the best conditions for classic skiing. 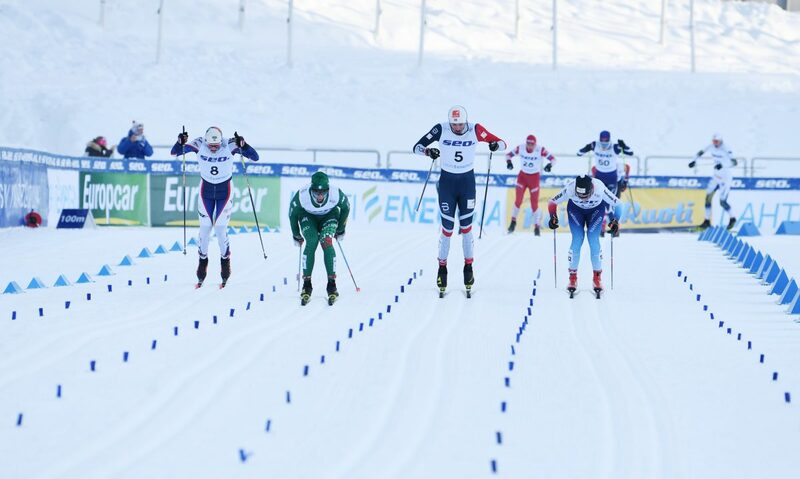 For the U.S., Ben Ogden finished 10th (+9.0), Luke Jager 13th (+14.9), and Johnny Hagenbuch 17th (+25.6). Sam Hendry of Canada raced to 20th (+44.6), Tom Stephen, at sixteen years old placed, 23rd (+1:07.3), and Pierrick Sarthou 46th (+6:32.2). Sweden’s nineteen-year-old Frida Karlsson won the U20 women’s 15 k classic mass start race in a time of 40:45.3 minutes. 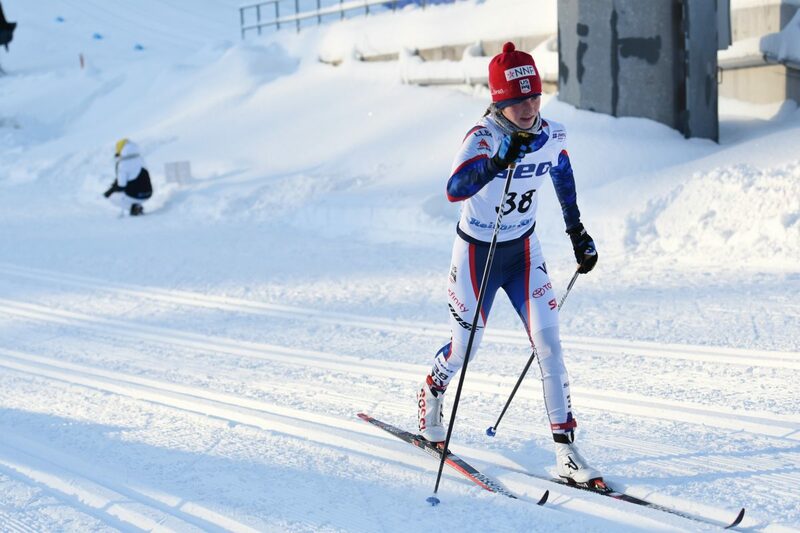 Helene Marie Fossesholm of Norway was second (+52.1), and Finland’s Anita Korva was third (+58.1). This was Karlsson’s second win of these championships after taking the U20 5 k skate race on Tuesday. Karlsson was also the fastest qualifier in last Sunday’s classic sprint – she placed fifth overall. 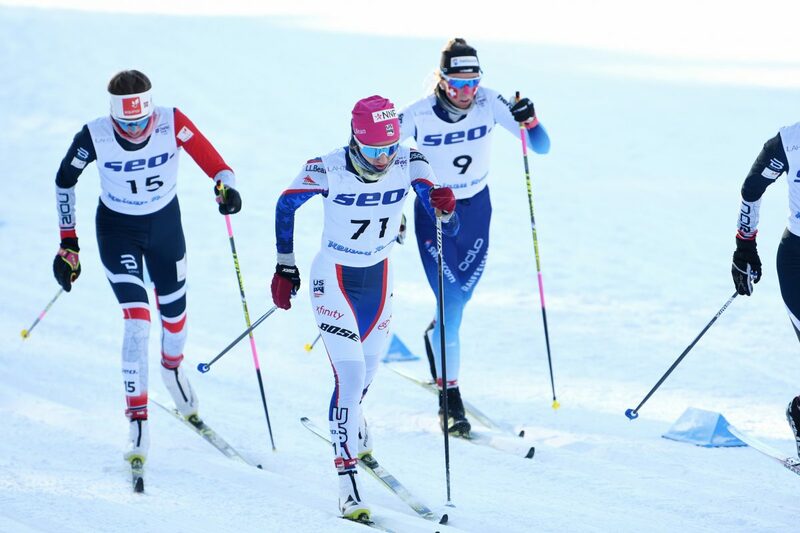 Kendall Kramer, a sixteen-year-old U18 skier for the U.S. was the top-North American in the U20 women’s race placing fourth (+1:30.7). In perhaps the most earnest and down-to-earth post-race comment FasterSkier has received to date (Kendell’s comments were handwritten), the sixteen year old from Fairbanks, AK. explained the 15 k mass start was a new venture which suited her skiing style. “This was my first 15 k I’ve ever done so going into the race I was extremely clueless and nervous about feeds, how aggressive the Scandos would be, how to race etc… but I think the slip-free kick job the techs gave me and my knack for throwing elbows and maintaining my spot which really aided me staying out of trouble early on, which set me up for a comfortable position to ride my 4th place into the finish,” Kendall wrote about her race experience. Kramer’s keen eye during the race played into her in-the-moment decision making when it came to how to ski the course. “It was all hills and with the slow snow the flats weren’t even flats. I mostly decided to how to take every part of the course by seeing how the older girls in front of me reacted to it,” wrote Kendall. “Starting in the back was definitely a bit of a challenge,” McCabe told FasterSkier in the mixed zone. “I thought of it as I had to be patient for sure at the start. But it was also better than I thought it would be going up that first hill. I was able to hop in the outside and get up right out of the start and seeing more numbers in the 30s and 40’s and so I was like ‘oh, that wasn’t that bad’. I kept on trying to work my up and trying to stay calm and patient. There were a few crashes and some of the front girls came back. I ended up skiing in a group with one of the girls who ended up crashing and I tried to hang with her. For the U.S., Mara McCollor finished 24th (+3:58.3), and Sophie Mazzoni 48th (+6:19.9). Jasmine Drolet was the top Canadian finisher in 36th (+4:51.4), followed by Anne-Marie Petitclerc in 40th (+5:07.6), and Anna Pryce in 46th (+6:07.2).